Welcome to the Internet’s most comprehensive guide to Zodiac Signs (aka Astrology, Horoscope, & Star Signs)! Click on the links below to discover your Zodiac Sign’s complete personality, traits, and characteristics profile – well, for the Western version of Zodiac Signs. Actually, we all have more than one Zodiac Sign. 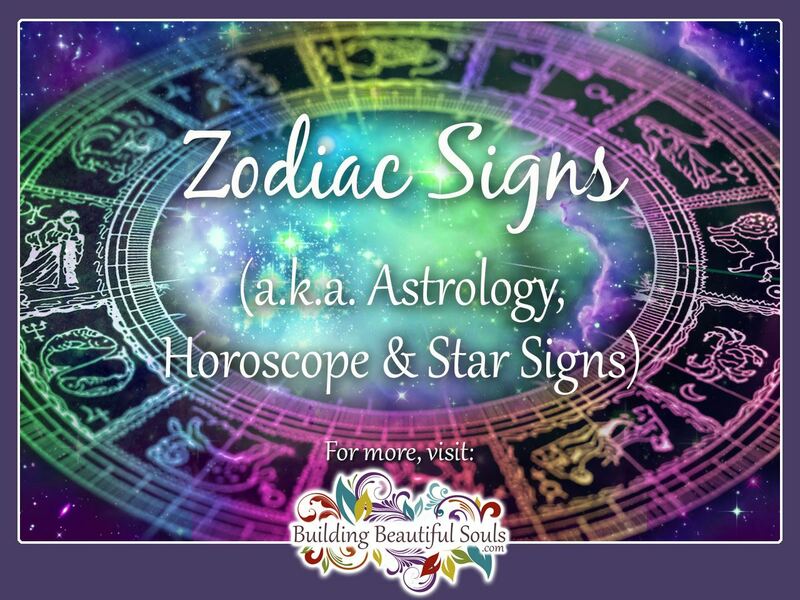 Visit our section “What Is My Zodiac Sign” to discover over 25 different types of Zodiac Signs! Aries Dates: March 21 – April 20 Tropical Astrology Time (TA). April 15 – May 15 Sidereal Astrology Time (SA). Aries are the go-getters of the Zodiac signs. These individuals have incredible endurance and personal fortitude. They see challenges as something to conquer. The Aries personality has a warrior attitude with their ruling planet being Mars. 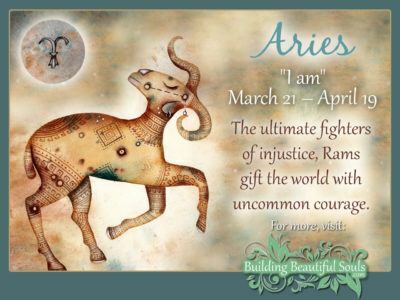 Read the in-depth description for Aries Traits, Personality, & Characteristics. 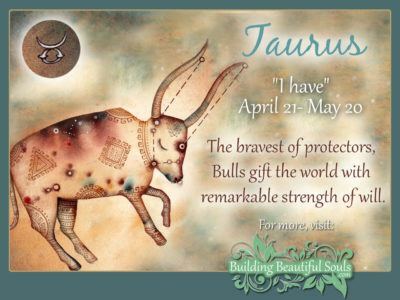 Taurus Dates: April 21 – May 21 (TA). May 15 – June 15 (SA). With the ruling planet of Venus holding sway over the Taurus attitude, love rules the day above all else. That’s what Taureans do. They love food, the arts, and music. All things beautiful call to their soul. But, the Bull is their sign so there’s a stubborn streak a mile long! Don’t wave a red flag anytime soon unless you are standing safe and sound outside of the arena! Read the in-depth description for Taurus Traits, Personality, & Characteristics. Gemini Dates: May 22 – June 21 (TA). June 16 – July 16 (SA). The emotional ones of the Zodiac Signs: That’s a Cancerian soul for sure. e Cancer personality is one with a teddy bear emotional inside. But, there’s a barbwire fence around the heart. They learn in early life to protect themselves when it comes to emotions. Still, if you can break through the barrier they create, a sweeter heart you will not know. 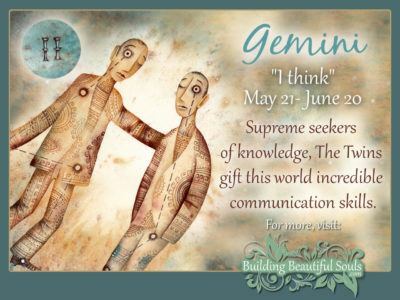 Read the in-depth description for Gemini Traits, Personality, & Characteristics. 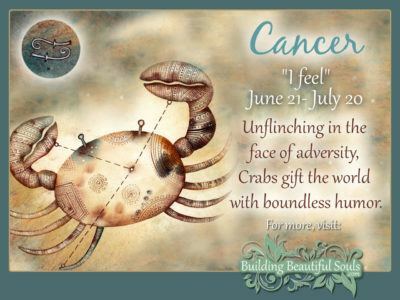 Cancer Dates: June 22 – July 22 (TA). July 17 – August 16 (SA). With a ruling planet of Mercury and a zodiac icon of the twins, you can count on the gift of conversation. Two heads are always better than one, right? But, with two heads you get two distinct points of view. Sometimes extreme opposing views. The Gemini personality is eager and social, but volatile and unpredictable. Read the in-depth description for Cancer Traits, Personality, & Characteristics. 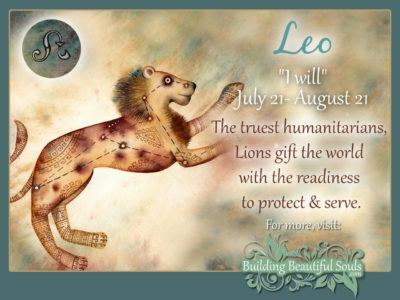 Leo Dates: July 23 – August 22 (TA). August 17 – September 16 (SA). Regal and King-like, the Leo personality is one who appreciates the attention. The light of any gathering (the Sun is their ruling planet after all), people flock to Leo like a moth to a flame. What is it about Leo that makes them so appealing? They are warm, compassionate, and social creatures. Their authenticity with their regal nature brings people swarming to their feet. But, the Leo can enjoy the limelight a bit too much. They sometimes need a gentle reminder to step down from the royal pedestal. Read the in-depth description for Leo Traits, Personality, & Characteristics. Virgo Dates: August 23 – September 22 (TA). September 17 – October 17 (SA). The Virgo personality is the perfectionist of the group. This stems from their need for purity. They want only genuine relationships with authentic people. No facsimile thereof will do! It can be hard to please a Virgo who is always placing high expectations on others. Still, with high expectations, they make quality leaders in the community. Mercury is the ruling planet here, so Virgos are quick to change their mind. 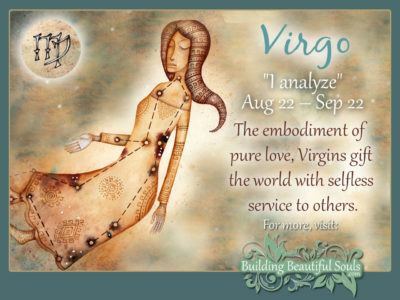 Read the in-depth description for Virgo Traits, Personality, & Characteristics. Libra Dates: September 23 – October 22 (TA). October 18 – November 16 (SA). 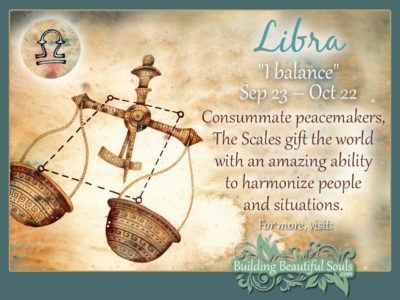 Libras are all about finding balance or helping to achieve balance where it is necessary. It’s as if they are natural-born referees! Social and chatty, the gift of gab is something they master in their youth. It’s a good thing too. As the referee, they need to be able to say the right thing to de-escalate situations. Venus holds say over Libra’s heart so what they do, they do out of love for humanity. Read the in-depth description for Libra Traits, Personality, & Characteristics. Scorpio Dates: October 23 – November 21 (TA). November 17 – December 16 (SA). Like Aries, Scorpio falls under the influence of Mars. They too are warriors of their own kind. Loyal and demanding of the same in return, the Scorpio personality knows what they want. Both friends and lovers must prove fidelity. To fail at loyalty is to experience the sting of the Scorpion! 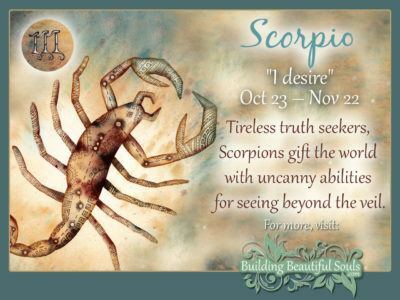 Read the in-depth description for Scorpio Traits, Personality, & Characteristics. 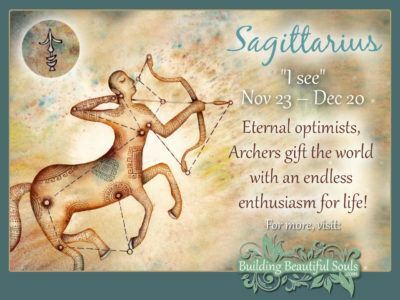 Sagittarius Dates: November 22 – December 21 (TA). December 17 – January 15 (SA). Sagittarius has a merry, contagious personality. They should, without a doubt, be on the party invitation list! But the Sagittarian soul is one of the most benevolent zodiac sign personalities. Their best character trait is the fact that they always consider the needs of others. When you need a friend at your darkest hour, it’s apt to be a Sagittarian comes to the call. The ruling planet is Jupiter, bestowing leadership skills and a compassionate heart. Read the in-depth description for Sagittarius Traits, Personality, & Characteristics. 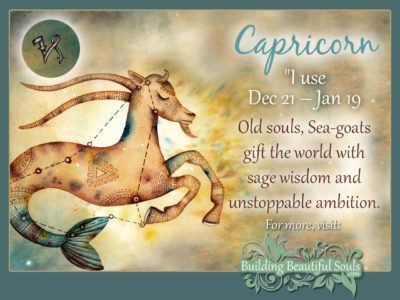 Capricorn Dates: December 22 – January 20 (TA). December 17 – January 15 (SA). Of the Zodiac Signs personalities, the Capricorn can be quite aloof. They might seem cold or distant on the outside, but this covers a heart of gold deep within. Still, their cool nature makes them ideal leaders. They have a cool head amid absolute chaos! The Capricorn carries the give of persistence, stability, and deep wisdom. Saturn holds sway over Capricorn which makes life challenging. Read the in-depth description for Capricorn Traits, Personality, & Characteristics. 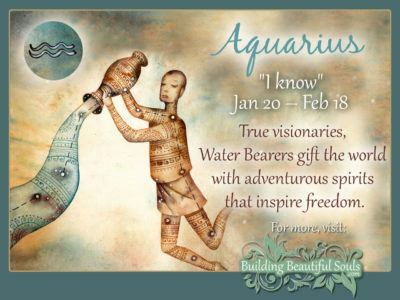 Aquarius Dates: January 21 – February 19 (TA). February 15 – March 15 (SA). Saturn rules over Aquarius too, but they handle challenges different than the Capricorn. How so? These rascals are the innovators of the Zodiac Signs! The Aquarius mind is near-genius and can use that wisdom to conquer whatever falls in their path. They are independent, freedom loving and adore soaking up knowledge. Read the in-depth description for Aquarius Traits, Personality, & Characteristics. Dream and dream big! 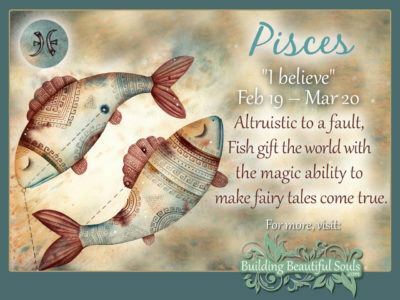 That’s the motto of the Pisces soul! Sensitive like their Cancerian cousins, Pisces is the evolved personality of Aquarius. They bring together innovation with dreams. They join genius with a wonderment for the world. The downside is their ruling planet Jupiter. How is Jupiter a downer? Jupiter lends expansion to the imagination, but not ambition. Read the in-depth description for Pisces Traits, Personality, & Characteristics. OK, it’s a terrible pick up line and worse opener for an article about zodiac signs and the inner workings of astrology but, hey, we’re children of the 70’s and it still makes us chuckle. However, in our own defense, that classic example of social cheese still makes all kinds of Top 10 lists for pick up lines (not that we read that kind of tripe, mind you). Think of all the questions people have about their lives! It’s not just about who will be the best partner in bed or life, but other issues like jobs, housing, hobbies and whether those “lucky lottery numbers” are REALLY lucky. Earth Signs are, well, ‘earthy’. These Zodiac Signs are solid, steady, and stable. They’re grounded folks who keep the rest of us on track. These Star Signs are dependable, loyal and honest. And, they are usually the hardest working people you will ever meet. The Earth Signs are: Taurus, Virgo and Capricorn. Water Signs are E.M.O.T.I.O.N.A.L. They ‘feel’ everything – and very, very deeply. These Zodiac Signs are psychic, sensitive, and empathic. These Star Signs are the healers of humanity’s minds, bodies, and spirits. The Water Signs are: Cancer, Scorpio and Pisces. Air Signs are the dreamers who dream big dreams. These Zodiac Signs are all about communication, ideas, analysis, and philosophy. They are true Star Signs because their heads are always in the clouds and in outer space (in a good way). The Air Signs are: Gemini, Libra and Aquarius. Fire Signs are, well, fiery. These Zodiac Signs are passionate, feisty, and dynamic personalities who love the limelight! These Star Signs are all about the physical and are always on the go, go, go! Usually extremely intelligent Fire Signs are generally found in leadership positions. The Fire Signs are: Aries, Leo and Sagittarius. There are dozens of ‘types’ of Zodiac Signs. Below are just a few covered here on Building Beautiful Souls. Click to find out your Zodiac Sign in each ‘type’ – What Is My Zodiac Sign? 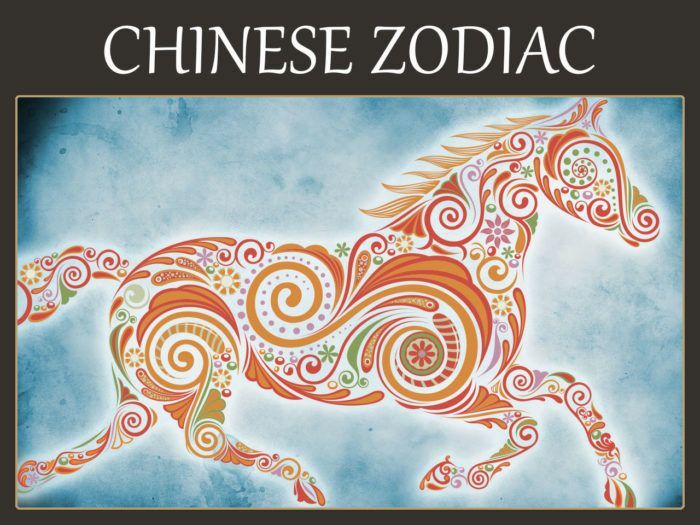 Chinese Astrology and the Chinese Zodiac system is founded on the idea that a person’s personality and fate are heavily influenced by the moon, stars, sun and even comets at the exact time of a person’s birth. The ancient Chinese astrologers observed the movement of Jupiter and created a twelve point system that spans 12 years. Each annual sign has an associated animal Rat, Ox, Tiger, Rabbit, Dragon, Snake, Horse, Sheep, Monkey, Rooster, Dog, and Pig. Chinese astrology also correlates to the five elements of nature: water, wood, fire, earth and metal. Native American Zodiac bears some similarity to the Chinese in the use of Spirit, Totem, and Power Animals. The animal birth totems are Goose, Beaver, Bear, Otter, Elk, Raven, Wolf, Woodpecker, Snake, Hawk, Salmon and Otter. Each birth animal spirit also has corresponding elements, wind direction, mineral, plant, color, personality, emotion, intention, goals and overall life aptitude just to name a few. If we use Goose as an example, we discover that it blends the Air element with the Earth, its mineral is peridot, plant – the blackberry, color – white and its life talent is adaptation. If you were born December 22 – January 19, you are a goose. What Celtic Zodiac Animal Sign are you? What are your personality traits and characteristics according to Celtic journeymen and astrologers? Do you have the sheer raw power of the Celtic Bull? Do you have the fragile but transformative powers of the Celtic Butterfly? 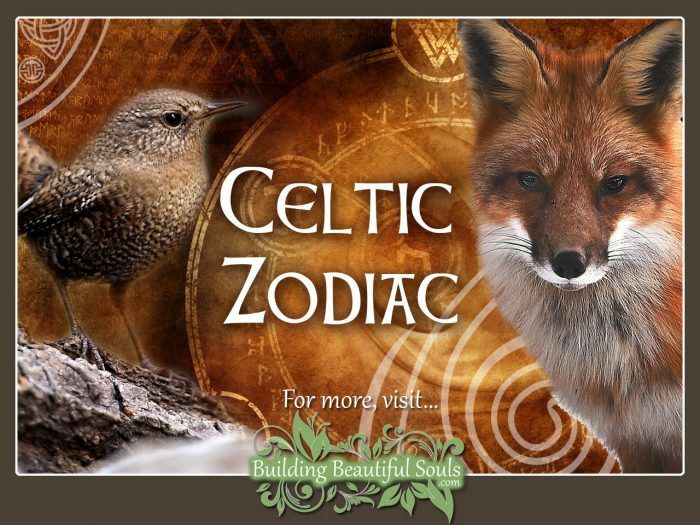 Click to find and learn all about your Celtic Zodiac Sign. 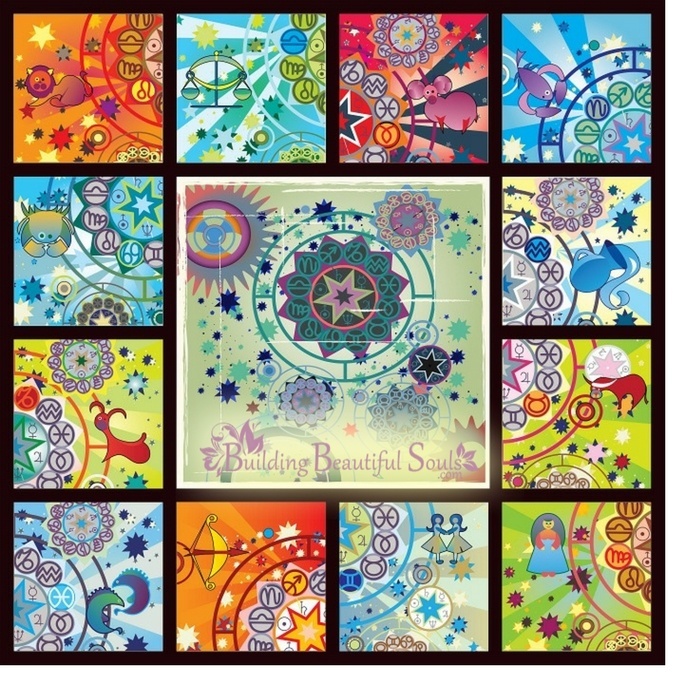 Aztec Astrology has animals, objects and natural events that relate to the time of your birth. These items also have a Divine ruler who influences those born in each month and a governing planet. The Zodiac Signs are Crocodile, Wind, House, Snake, Death, Stag, Rabbit, Water, Dog, Monkey, Grass, Reed, Jaguar, Eagle, Earthquake, Silex, Rain and Flower. 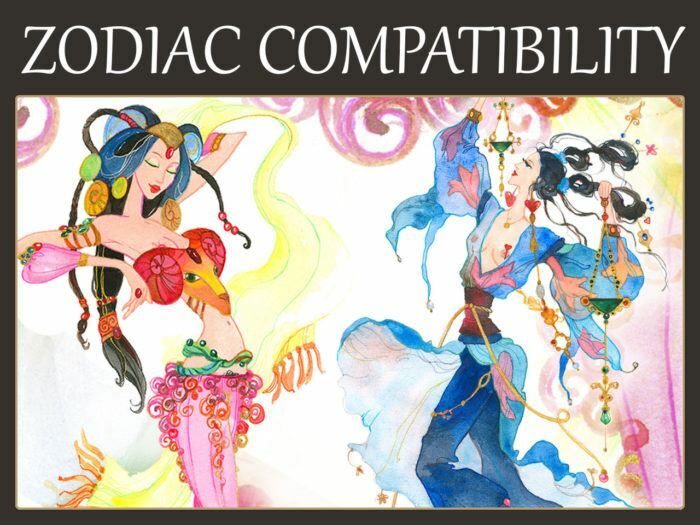 Zodiac compatibility is based on the Western Zodiac Signs. So, it’s not really a ‘type’ of Zodiac Signs but more a method by which you can discover what signs might mesh well together. This can help make all kinds of relationships easier and richer (parents, siblings, friends, lovers, co-workers – even pets!). Are you in love? Learn how each Zodiac Sign communicates as well as what your lover wants in a relationship and in bed! What Zodiac Signs make the best soulmate couples? Which are twin flames? Who will never make it past lunch? Plus, learn more about yourself! How do you love based on your Zodiac Sign? Read all about Zodiac Compatibility! We believe Astrology and understanding its Zodiac Signs personalities, traits, and characteristics is an effective life and soul management tool. Astrology and its Zodiac Signs provide us an important link to our past and our future (the stars will be here long after our spirit flies to another incarnation). It teaches us about the human condition from the eyes of many eras and cultures. It cannot, and does not, say THIS WILL HAPPEN. Rather it explores potentialities. Astrology is the art that translates the artistic hand of the Divine. It tells of all the possibilities before us. It does not inflict force on our will. It doesn’t trap us into doing something. It makes nothing concrete. But, it will show you the road to creating and cultivating the best you. For soul food, all you need do is look to the stars. Yes, on a lower level the stars will tell you all about romantic compatibility. Yes, you can find out what friends are loyal and what hobbies others might like all through the zodiac. But, approach the art with a higher mind and realized it is something you can use to commune with the Divine. If you want Divine instruction without the middleman, astrology is your key. Your Sun Sign will give you a bit of information about yourself. The Western Zodiac Signs are a lot more accurate though if you have a natal horoscope chart created. The latter is a chart based on your personal details. Where you were born on earth, at what time you were born, and on what power day you arrived! The Sun, the Moon, planets, and celestial bodies all hold sway over the map of your life. They shape the possibilities before you. With this thought in mind, it means the heavens reflect what happens on Earth. But, it doesn’t mean it causes things to happen. Some other beliefs are incongruent with this argument. For example, planets have an influence on the things they rule over as well as specific Zodiac Signs. The key word here is “influence,” meaning something is more likely to happen. The Sun Signs can be quite accurate sometimes. The accuracy is dependent on the skill of the astrologer, of course. Most astrologers will caution that a Star Sign is not a complete horoscope. For nitty gritty details, including traits and characteristics, you need a natal chart! With a natal chart, you’ll often find that those who share Zodiac Signs present with some common traits. But, the bottom line is that astrology controls no one. The Zodiac Signs do not make things happen. The Zodiac Signs meanings represent the most likely personality a person will develop. But, free will reigns. The choice remains in the hands of the individual. Hence, you will find astrology is so diverse. It reflects who we are. It reflects who we can be! But, we decide what we become. Thanks for the in depth break down of what exactly each zodiac from different regions, people, and time frame are. They are different yet very similar! I’ve heard of Western astrology and Chinese astrology but never knew the Native American and Aztec/Myan had one as well, very interesting! I’ll be checking back to this section for updates! THANKS!!!! You are most welcome! I’m working on a Celtic Astrology and Zodiac Signs series now and should have it up in a couple weeks. 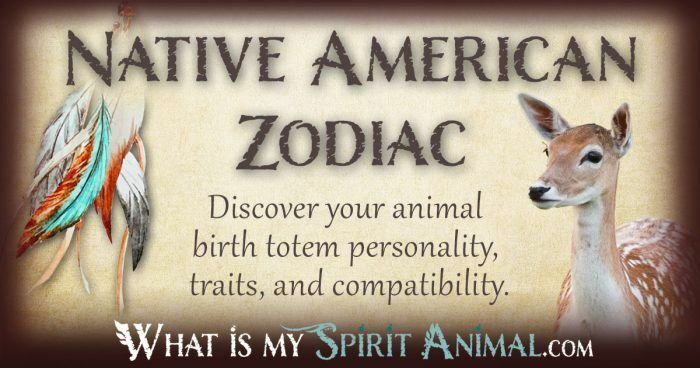 At my sister-site, WhatIsMySpiritAnimal.com you can read all about the Native American Zodiac.